As each year passes, customers demand more and more technology be included in their restaurant experience. However, according to the NRA, a third of operators say they lag in technology use. 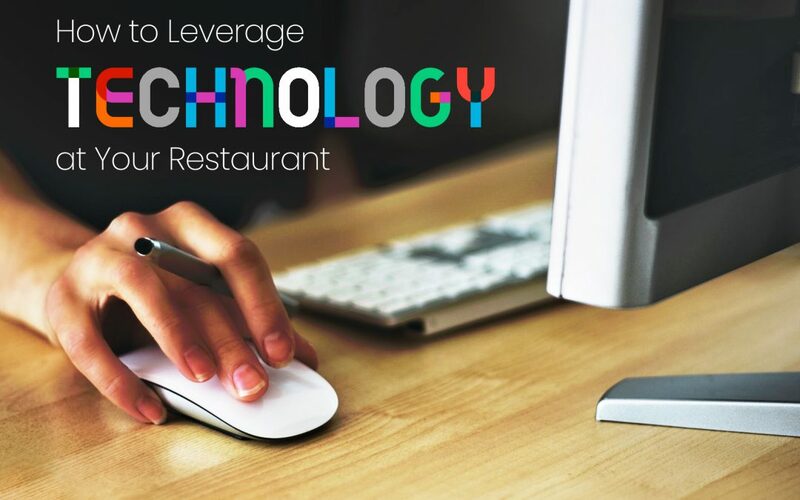 Technology is and has been an important component to how a restaurant operates. Additionally, new technology continues to be created to support restaurants so they can begin to see more of a profit from their customers. In fact, 4 in 5 restaurants agree technology helps increase sales. And, according to a survey done by Toast, 73% of restaurant-goers think technology improves their experience while 95% of restaurant owners think it improves their efficiency. Outside of adding online ordering to your restaurant, here are some other ways your restaurant can become more tech-savvy. With all of the focus being shifted to providing customers different ways to order online, restaurants owners should also consider using a tool to retain customers who want to eat in-house. Currently, around 49% of diners go online prior to choosing a restaurant and dining out. While this is a large percentage, not all customers want to order online, so treat the ones that will show up to your restaurant by rolling out the red carpet for them, too. Customers don’t enjoy waiting an extended amount of time to sit down to eat. Why not try a tool that could alleviate this problem, if it is a problem? Using a tool where customers can reserve their table ahead of time could help you book reservations directly with customers, which can provide suggested seats based on time and size of party, and suggest both the waiting time and table availability upon the customer securing a table. According to one of the services, Bookatable, 50% of customers booking a restaurant through them have never visited that restaurant before, proving that online booking services drive customers to you that you wouldn’t otherwise reach. The trend for mobile doesn’t just stop at delivery. Mobile is increasingly becoming the way for diners to pay. Industry analysts estimated the volume of mobile payments in the restaurant industry grew 75 percent this year. Currently, mobile payments account for about $50 billion in sales annually, and in 2019, are expected to amount to $142 billion. As a restaurant owner, it would be wise to invest in a tool that would adapt and accommodate this growing demand from their customers. Long gone are the days of printing your menu to hang in your restaurant. Studies show that installing a digital menu board can boost overall sales by 3 to 5 percent, and much higher on specific promoted items. By having a screen with your menu on it, you can change prices, menu items, specials, and unavailable items daily. While the up-front cost might seem expensive, owners will no longer have to take the time to manually update the menu by getting them printed, written, or typed. You can also be transparent with your menu items by offering calorie counts, ingredient specifications, and add-ons easily. Replacing printed menu boards with digital displays is where restaurants can experience a cost savings. Many programs have been adopted in the past to bring new hires onboard, train, and oversee employees. More time and money is being invested in these programs moving forward to adapt to technological advances within the restaurant industry. Having a program to assist owners in scheduling employees, keeping track of payroll, and properly monitoring labor costs will help a restaurant become more efficient and better operate under growing conditions. If you you want help or recommendations as to what services you can begin using today, feel free to talk directly to someone at NetWaiter. Our team has years of experience with assisting restaurants and helping them improve their overall efficiencies.